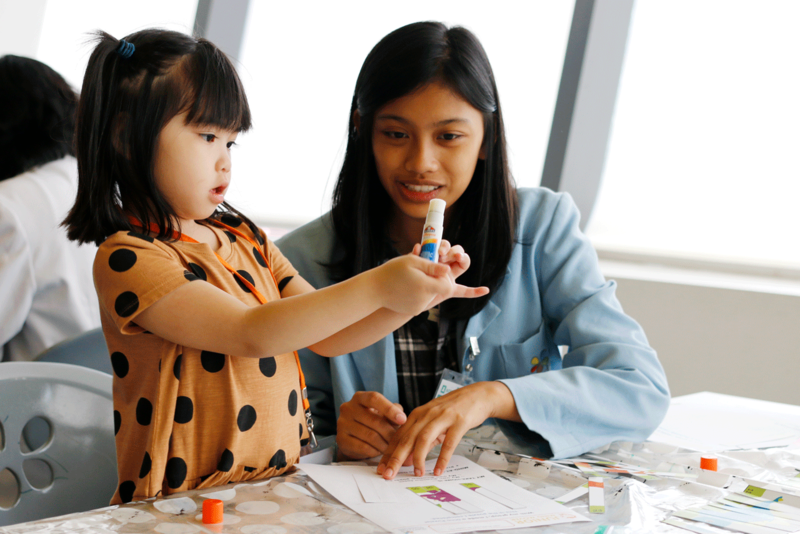 The Junior Mind Mover (JMM) Program allows kids to go behind-the-scenes of the museum’s galleries and exhibits, and get an exciting introduction to different kinds of science with the help of the museum’s resident scientists. 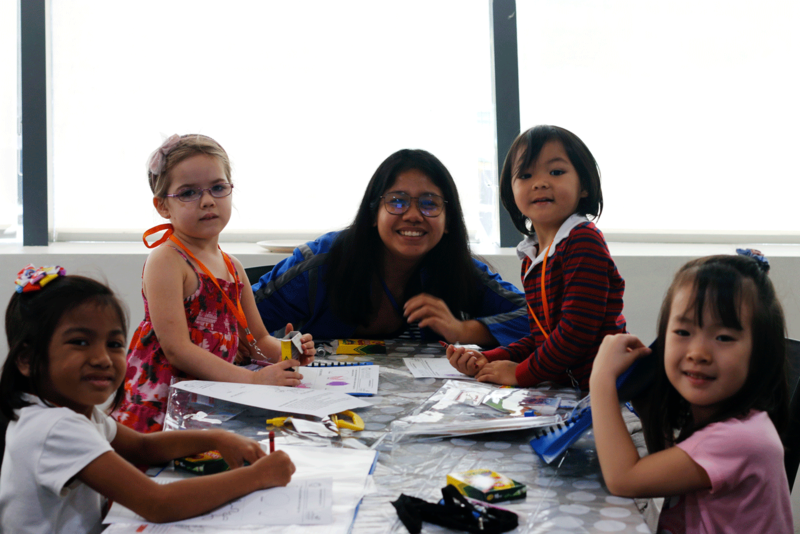 They will meet new friends and make unforgettable memories in a program that will spark their curiosity and wonder for the world around them. By registering, you agree to the following conditions:. - I have reviewed the Junior Mind Mover 2019 Participant Release and Waiver. - Ensure that your child is enrolled in the correct age group. Choose JMM Class under Special Events. Which class should I enroll my child in? Aside from age, we recommend picking the class based on your child’s physical dexterity (i.e. using a pair of scissors or tape-dispenser), emotional readiness (i.e. sportsmanship, patience), and social confidence (i.e. being in front of a crowd, teamwork). If you have any question about our classes, please contact us. 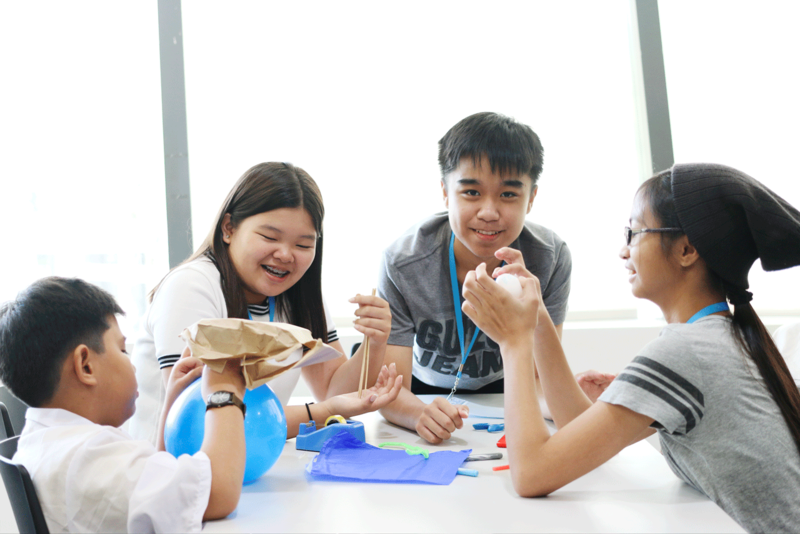 Parents’ Orientation Session*: March 23, Saturday, 11:00 a.m. - 12:00 p.m.
Tots will discover the story of science through games, crafts, and play-learning, culminating with a graduation party together with their family. Some of the things they will learn: the science of colors, the wonders of the solar system, how our senses work, understanding weather, how engineers build planes, trains, and boats, and many more! Parents’ Orientation Session*: April 13, Saturday, 1:00 p.m. - 2:30 p.m.
Primes will work together to solve problems through hands-on experiments, imaginative thinking, and science-sharing. The program will wrap-up with a graduation party, where they will perform for their family. Some of the things they will learn about: the phases of matter and how they change from one to another; astronauts and how they explore the universe; the colorful science of light; the wonders of the human body systems; the shocking science of electricity; junior engineering challenges, and many more! *Unlimited Science Pass discounts apply. E-mail your IDs to [email protected] to get your exclusive discount voucher. 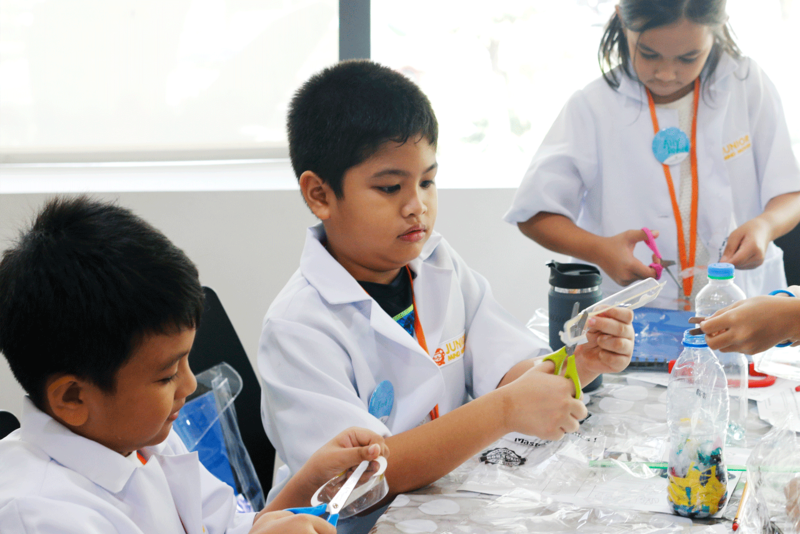 Bonifacio Art Foundation, Inc. is dedicated to providing an extraordinary educational experience that inspires the public understanding of science. All proceeds go completely into supporting science. 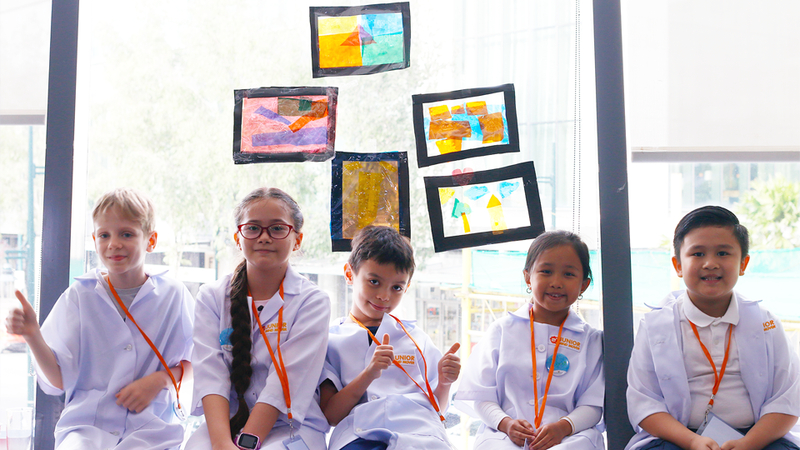 The Mind Movers, the resident scientists of The Mind Museum, will facilitate all the activities in The Mind Museum premises (classroom, galleries, and Science in the Park). Can my child just join a few sessions? The workshops are designed to provide opportunities for learning and inter and intra-personal development. We require all the participants to join from day 1 for them to enjoy the full experience. Can my child bring food and drinks? There will be designated break times for each session. We encourage you to pack peanut-free snacks or light meals for Tots & Primes, and snacks & lunch for Tweens, and a water bottle. There are no food establishments within the museum. JMMs will not be allowed to leave the museum premises to purchase food. Can my child be accompanied by an adult or guardian? 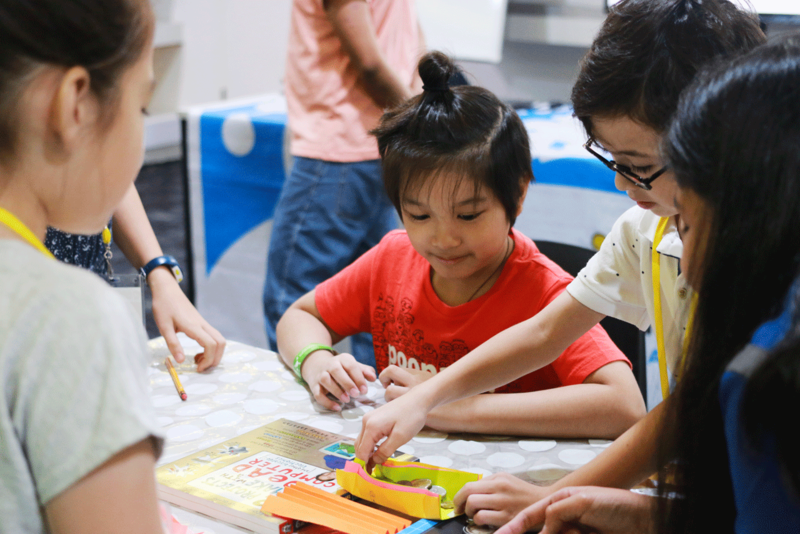 JMM Tots are allowed one adult companion each who can accompany them until the classroom door and explore the museum galleries while waiting for the session to finish. Only authorized persons with the designated fetchers’ ID will be allowed to sign the kids out. JMM Primes can be dropped off and fetched by guardians at the museum lobby. Only authorized persons with the designated fetchers’ ID will be allowed to sign the kids out. Who will take care of my child’s medical needs? What happens if my child becomes sick or injured? A safety marshall and first aid personnel will be on site during the entire program. The first aid response personnel will first assess the injury or illness. Non-emergency incidents like bruises or scrapes will be treated on-site and an incident report will be sent to you. For specific health conditions which require prescription medication, participants must bring their own properly-labeled medicine each day of the program. Please inform the staff of the medical condition and prescribed use and dosage of the medicine. (See Registration Form for health inquiry). How is inappropriate behavior handled? Behavior that jeopardizes the safety and enjoyment for other participants and/or staff will not be tolerated. House rules of the museum and classroom will be discussed during the first day. The Mind Museum reserves the right to manage and reprimand all participants accordingly. No refunds will be issued. However, you may nominate another participant to take over your slot, but he/she must meet the requirement of the program (age, etc).